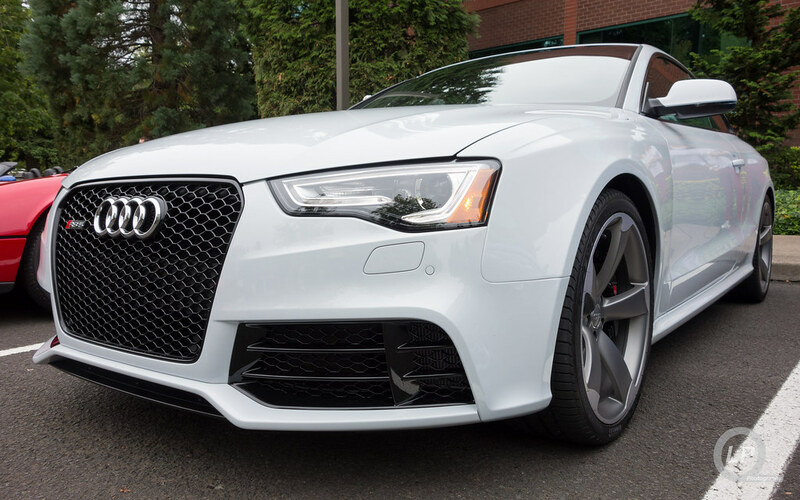 A friend of mine just got his new 2014 Suzuka Gray RS 5 coupé, which he ordered several months ago, and stopped by PDX C&C with it on Saturday. 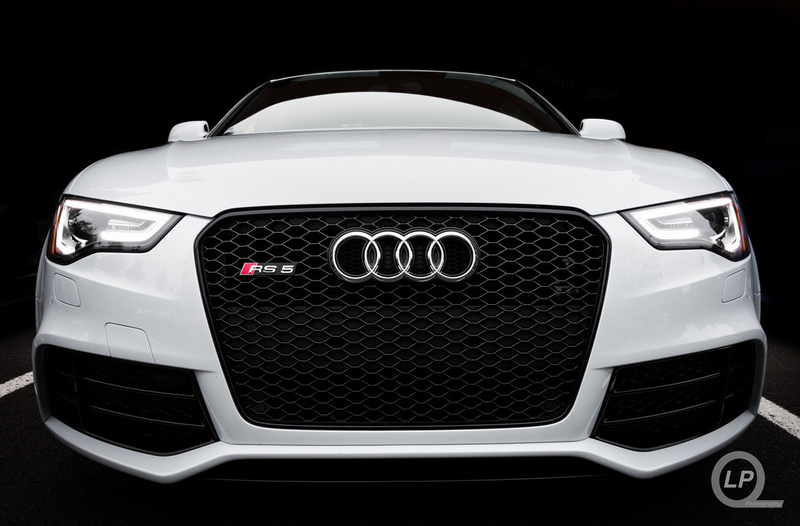 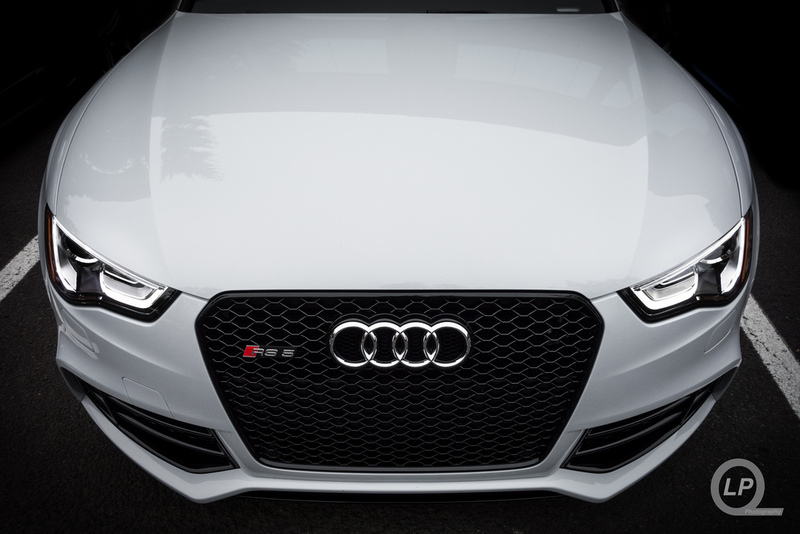 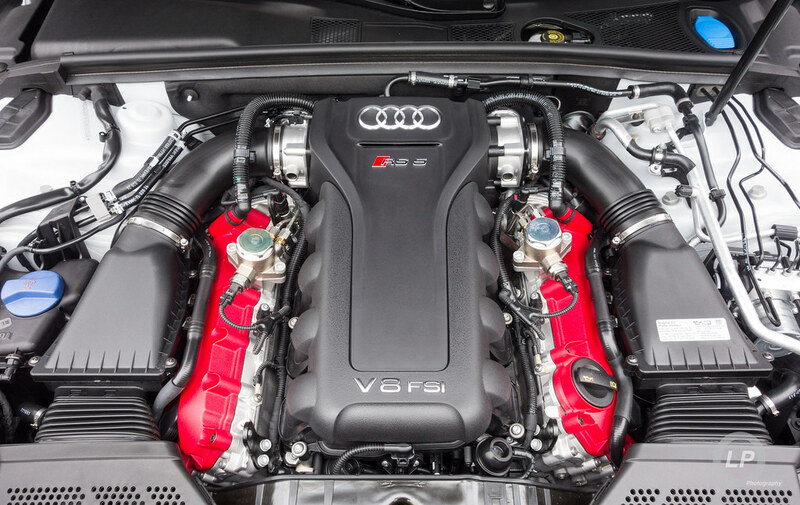 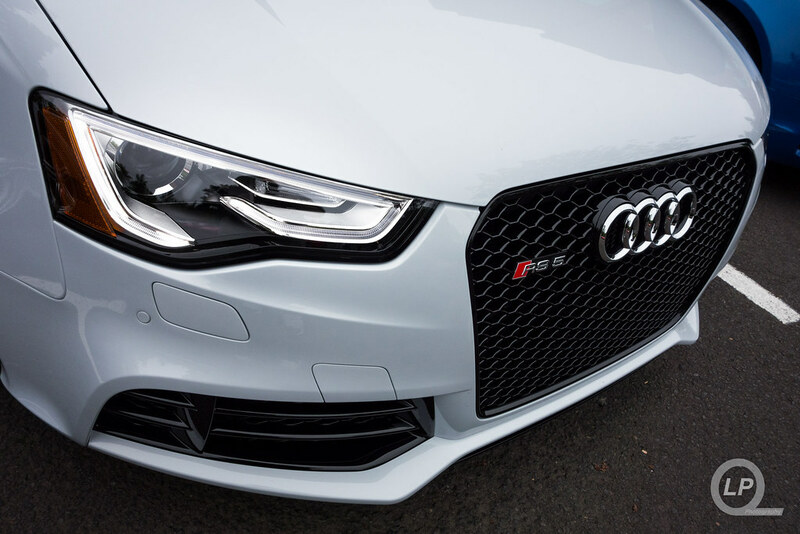 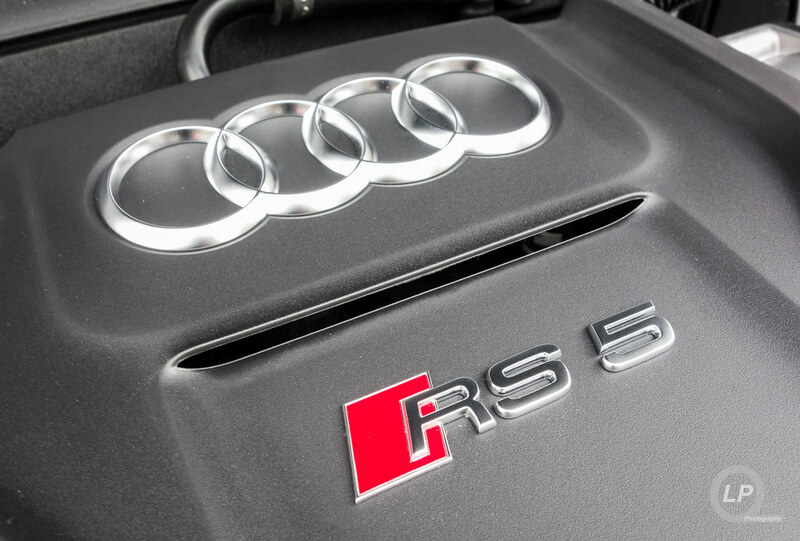 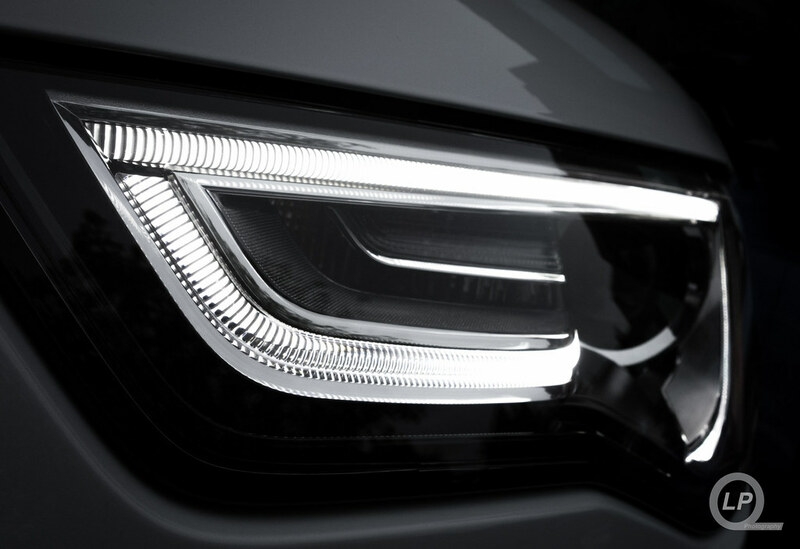 The RS 5 is fairly well equipped with MMI navigation plus, Titanium Package and Sports exhaust system. Eventually, the RS 5 will adopt even more of a Stormtrooper look with wrapped side mirrors, suspension, spacers and an aftermarket exhaust setup. 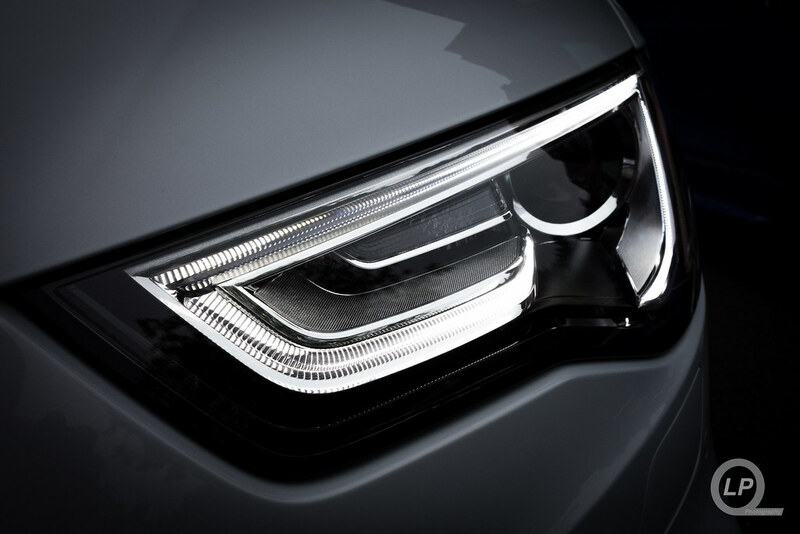 Below are some of the photos that were taken with a Sony RX100 and massaged with Lightroom. 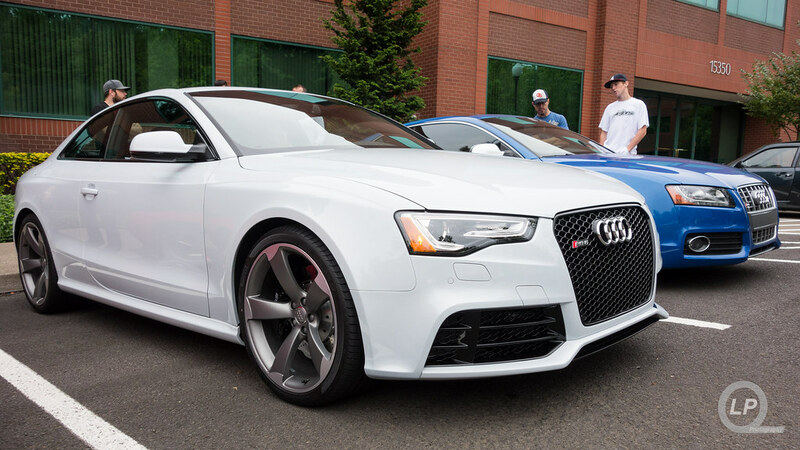 For more photos of the Suzuka Gray RS 5 by QLP Photography, check out the “14 Sep 2013 Suzuka Gray Audi RS 5 at PDX C&C” photo set on Flickr.